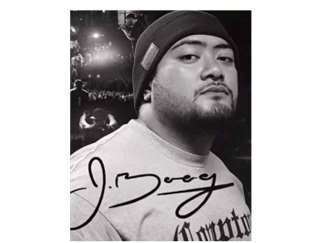 Born in Long Beach, raised in Compton and based in Hawaii, Samoan-American reggae/R&B singer J. Boog (born Jerry Afemata) has worked steadily since releasing his debut, "Hear Me Roar," in 2007, which landed at No. 8 on Billboard's reggae albums chart. In 2011, he released a self-titled that went to No. 19 on the Billboard's Top Heatseekers chart and reached No. 3 on Top Reggae Albums. His next album, "Backyard Boogie," topped the reggae charts for 2011, 2012, and 2013, and in July 2013 his "Live Up!" EP reached went to No. 18 on the Top Heatseekers chart. He has played with Damian Marley, Ziggy Marley, The Green, Rebelution and his regular touring mates, The Hot Rain Band.